After another long hiatus, Jonathan and Gary return with a ramble saying farewell to 2018 (actually recorded when it was still 2018 in Chicago and already 2019 in Perth). This time we look back on some of our favourite novels, novellas, collections, anthologies, and nonfiction from the past year, agreeing enthusiastically about Sam J. Miller’s Blackfish City, Kelly Robson’s Gods, Monsters, and the Lucky Peach, Gardner Dozois’s The Book of Magic, Alec Nevala-Lee’s Astounding: John W. Campbell, Isaac Asimov, Robert A. Heinlein, L. Ron Hubbard, and the Golden Age of Science Fiction (diverting into a side discussion of whether “golden ages” actually mean anything), and several other books and stories which one or both of us liked. 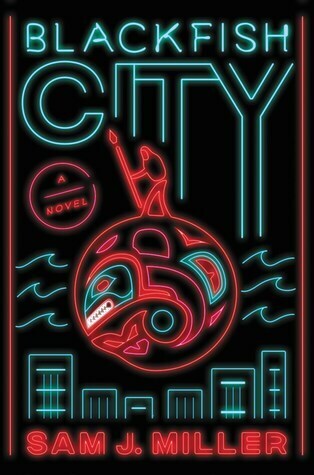 We also name Blackfish City as our official Coode Street Book of Year! Did we draw any insightful conclusions about the overall health of the field last year, or what the field seems to be becoming? Of course not, but we have our opinions, and we had some fun. And who knows? We should be back sooner than you'd think.